If your home was built between the 1900s and 1940s, it was likely constructed with knob and tube wiring. This is an older-style electrical installation, so named for the use of porcelain knobs and tubes to insulate and secure the wiring. Although this type is no longer the standard, it is still acceptable to perform replacement repairs and maintenance on existing knob and tube setups. Knob and tube wiring only exists in 15 amp ratings. Many modern devices require more power to function properly. There are additional overloading and fire hazards that can occur if the wrong fuse or type of extension cord is used. There is a distinct fire hazard present when the insulation around the wiring breaks down. Knob and tube wiring is not grounded, creating additional electrical dangers that need to be monitored. Some insurance companies will not write a policy for a home with knob and tube wiring, or will otherwise charge a premium for such policies. Despite these risks, knob and tube wiring is not inherently unsafe. Toronto homes can still retain their vintage wiring setups provided the appropriately sized fuse or circuit breaker is used without any outlets being added to the original installation. A certified electrician will also need to inspect the wiring to ensure that all parts and conductors are in good condition. Toronto Electrical Experts is fully certified and experienced in working with knob and tube wiring. Our qualified professionals work with you to maintain your vintage knob and tube systems safely and securely. Another solution is to have a professional electrician replace knob and tube wiring in your Toronto-area home. Replacement can be beneficial for homeowners who are dealing with demanding insurance companies, want more freedom in their electrical devices, or are concerned about possible safety risks. 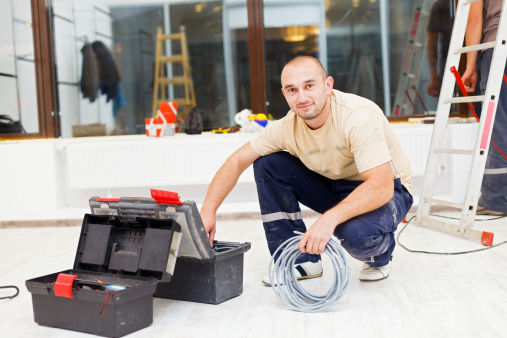 Toronto Electrical Experts employs care and skill throughout the replacement process. We recognize the beauty and value that Toronto’s historic homes contribute to our city and aim to preserve the integrity and charm of such homes. Contact us to get an assessment of your home’s electrical system and learn more about how we can maintain or modernize your knob and tube wiring.